Besides accessing the Recycle Bin through the physical Recycle Bin folder, one can access it through the Run dialog box by typing shell:RecycleBinFolder. By doing this, one gets different options from those of the physical Recycle Bin Folder. Different users on a computer can’t see the contents of the Recycle Bin of another user. If you’ve been hacked, it’s worse again. 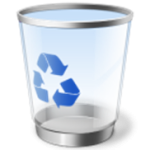 In Mac OS, the Recycle Bin is referred to as the Trash. Besides being a temporary store for deleted files, it can be used to eject or unmount disks by dragging the disk icon into it. The disk will only be ejected or disconnected without being transferred into Trash or the contents being erased. 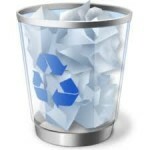 You can easily bypass the Recycle Bin by permanently deleting the file directly. This is possible by selecting the file and deleting it while holding down the SHIFT key. There are also methods of carrying this out with special software. You can’t use the recycle bin to delete a virus.